Aperion Care offers various health services at 28 long-term care and post-hospital rehabilitation facilities throughout Illinois and Indiana, including 10 centers in the Chicago Metropolitan area. These services include skilled nursing, psychiatric care, long-term care and short-term rehabilitation. Upon admittance, every patient is assigned an attending physician to ensure their specific health, hygiene and nutritional needs are fulfilled by the highest level of care by a highly trained medical team. Each Aperion Care facility formulates a personalized plan of care of effective treatments, protocols and procedures conducted by staff nurses, therapists and social service providers. The attending physician identifies and adjusts the courses of treatment based on the progress of the patient’s condition and evolving needs. Every facility works to involve family’s needs and concerns to ensure that the patient’s health are always addressed. Physical Therapies – By utilizing quality physical therapy modalities, the therapist can assist the patient to fully recover their mobility, balance and strength while minimizing pain. Using proven methods and experience, the therapeutic treatments by the therapist can reduce the potential of recurrence after the patient leaves the facility. Occupational Therapies – Many surgeries, illnesses, trauma and injuries reduce fine motor skills. However, experienced Aperion therapists can help the patient achieve their goals to reestablish their independence by incorporating therapies an effective adaptive equipment to optimize daily activities to return to a dynamic lifestyle and work. Speech Therapy – Many illnesses and injuries cause difficulties in speaking, swallowing or communicating. Aperion Care therapist can provide a variety of therapeutic solutions to rebuild throat and vocal skills to improve the patient’s quality of life. Aperion Care facilities are staffed with registered nurses, certified nursing assistants, licensed practical nurses and licensed vocational nurses. Each nurse and nursing assistant is given the responsibility to provide quality care, constant monitoring and assistance to ensure that the optimal care is given throughout the patient’s recovery or evolving condition. The CMS (Centers for Medicare and Medicaid Services) rates every healthcare facility as a way to assess and evaluate quality measures, staffing problems and health inspections. With the exception of Aperion Care International (Chicago), Aperion Care Oak Lawn (Oak Lawn), Aperion Care St. Elmo (St. Elmo) and Aperion Care Peru (Peru, IN), the remaining 24 facilities managed by Aperion fell far below average on the Medicare rating system. The poor quality measures at two dozen facilities indicate that the health, hygiene and nutritional needs of residents at each center have not been met. In addition, the majority of these facilities rated low in health inspections, indicating the facility is not meeting basic standards of care provided in a clean and safe environment. There has been a recent call in a change of legislation in Illinois to place surveillance cameras throughout the halls and rooms in nursing homes throughout the state. This is because family, friends and loved ones are often unaware of the negligence, abuse, or mistreatment of a loved one placed in a nursing facility. One family of a patient who resided at Aperion Care Oak Lawn are in favor of the change of legislation after discovering a lack of care at the facility when the patient suffering from abnormal brain function (chronic encephalopathy) fell, broke her hip and femur, and fractured her pelvis. In an effort to determine exactly what happened, the family asked to review recorded video from the installed surveillance cameras throughout the facility. However, acquiring the video required filing a negligence suit to view the horrific incident. The events of this lawsuit arose at an Aperion Care facility in Sangamon County, Illinois. The resident involved was a male that lived there for approximately ten months. During his stay, he experienced a number of health issues. He lost a lot of weight. He contracted different infections. Maybe most importantly though, he got bed sores. These eventually got so bad that his representatives believed they caused his death. They brought a case against the facility. They sought damages related to his pain, expenses, and other losses. The complaint targeted the facility as his care provider with negligence. They claimed the defendant’s unreasonable conduct damaged the man and they should be liable for that. This case is still pending. This case was filed late in 2018 in Northern Illinois. The plaintiff was a woman who lived at an Aperion Care facility for an extended amount of time. The lawsuit alleges that while living there she contracted bed sores. The complaint made out other health difficulties she experienced at the Aperion location including a broken bone in her arm, malnutrition, and dehydration. Nursing homes and similar facilities have obligations in Illinois to make sure that residents’ stays are accident-free and healthy. If their service causes harm to residents, then they can be held responsible for all of the damage, pain, and loss that results. This case makes out a similar argument under the rubric of negligence. That just means that the defendant’s conduct was unreasonable in the circumstances and caused the plaintiff’s damages including economic and non-economic harms. The events in this matter occurred at an Aperion facility in Springfield. A resident fell down while he was walking around the facility. He was eighty-three at the time. The incident left with him serious injuries. He had different kinds of hemorrhaging. He had various fractured bones. He also had other personal injuries. The lawsuit claimed these harms combined to substantially cause his death. The lawsuit sought compensation for the pain he suffered, the pain of his loss, and related damages. The plaintiff would have to show that the defendant’s care was unreasonable and deficient in a manner that could be described as negligent. In attempting to do this, the plaintiff claimed that the facility did not adequately watch him or help him move around. Consequently, he fell and injured himself starting the downward spiral in his health overall. Do You Suspect Abuse or Mistreatment of a Loved One at an Aperion Facility? Obvious signs of negligence, abuse or mistreatment occurring in a nursing facility usually require any immediate legal response, where personal injury attorneys can use the law to save the victim. 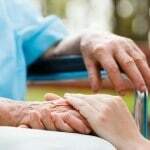 Filing a nursing home negligence claim or wrongful death lawsuit can help the family and victims obtain financial compensation for the injuries and abuse while holding the nursing facility legally accountable for their neglect. Rosenfeld Injury Lawyers LLC stands with you during the entire legal proceedings. Our team has successfully resolved hundreds of nursing home negligence lawsuits involving almost every conceivable scenario involving nursing home care. We invite you to schedule an appointment with our office to discuss your case involving Aperion Care Centers without any cost or obligation. Should you deem our firm a good fit, a legal fee will only be charged when there is a recovery for you.